Vector Marketing Scam – It doesn’t look good but what’s the truth. If you have been searching for a job in any major city, you probably have come across an ad for Vector Marketing. That’s how I discovered Vector Marketing then I starting doing some research about them. Quickly you’ll find many reviewers screaming Vector Marketing Scam. Vector Marketing Scam, Yes or No? Is Vector Marketing A Job? They advertise all over the job boards and they have interviews. 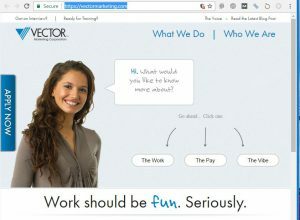 Their website (https://vectormarketing.com/) makes it look like a job with good pay, great training and a big button that says apply now. But the site does not use the word job. That’s because it’s not a job. When you get “hired” by Vector Marketing you work as an independent contractor. What does this mean? Independent contractor means that you are your own company. You are not an employee. So you don’t get paid for training. You don’t get paid for any expenses incurred with your work. You are responsible for your insurances, your taxes and any other expense or obligations (i.e. business license) of a small business owner. What Work Do You Do With Vector Marketing? Vector Marketing is a direct sales company for Cutco products. So you’ll be selling knives. Apparently these are high quality knives that are made in the USA. They are also expensive knives. What this boils down to is that you’ll be a sales person selling high cost knives as your own independent business. How’s The Vector Marketing Training? 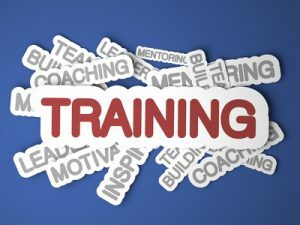 Most people have no previous experience or training in sales, so they are starting the training at ground zero. Many people have a negative view of the sales profession so they are actually starting the training from a negative point. Sales is a profession and a skill. One week of training is not sufficient for most people. Based on the reviews that I’ve seen, Vector Marketing starts people out by selling to their family and friends. You have a high priced product and your telling people to sell to their family and friends. Wow, that screams scam doesn’t it. This is what Amway and many other MLMs do. Is Vector Marketing A Multi-Level Marketing (MLM) Company? Technically yes, but it’s not like most of the MLMs. They are a direct sales company that is a single level so it’s not really Multi-level. The independent contractors do not recruit other people. They only sell the product. So when you approach your family and friends, it’s to sell a product and not a business opportunity. How To Get Paid With Vector Marketing? Your pay is based on your sales. You are going to be a sales person so you will be paid based on commissions. Vector Marketing has realized that many people struggle to get their first commission. Even people who will someday be great sales people can struggle for that first commission. So they provide a “Guaranteed Base Pay”. This base pay is not hourly. This base pay is a set amount for every presentation appointment you set up and present to a potential client. This is actually a great idea. As I said above, most people have no previous sales experience or training. If you work hard at getting appointments you will make some money (not much). Vector Marketing knows if you set up enough appointments, you’ll eventually sell some products. If you are looking for an hourly job with guaranteed pay and benefits, stay away from Vector Marketing. Does this mean Vector Marketing is a scam? No, their recruiting methods are a bit shady because this is a business opportunity and not a job. If you are looking at the sales profession or want a business opportunity in sales, Vector Marketing could be a good place to start your career. The sales profession offers lots of benefits especially the fact that on commissions there is no limit on what you could earn. I would say that there is probable a limit on how far you could go with selling knives but use this opportunity to get sales experience and training then move on to bigger and better things. I would advise doing your own studying in sales i.e. reading Grant Cardone’s books on sales. Lastly, if you are looking for a business opportunity and do not want to be a sales person then you should consider an online business. 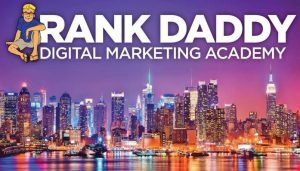 Check out my review of my #1 recommended education platform on how to get an online business entrepreneur certification. So Vector’s behind Cutco! I agree, their knives are super expensive and their MLM way of doing business is making their quality questionable. With only one tier, I think its a bold move their taking because if their recruitment has a couple of tiers, people would be more interested in recruiting rather than selling. That being said, do they have a compensation plan? Actually, they do have a compensation plan. The people recruited get paid a flat fee for each time they present the product. They also get a commission for each sale. 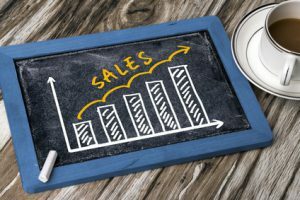 The commission starts out small at 25% then moves up to 50% as you get more sales. The people that are doing the “hiring”/recruiting do get a compensation for their recruits. One former member said in a review that the “managers” get a 3% commission for each sale of anyone that they recruited. Since this is not the traditional MLM, I don’t know what it takes to become a “manager”. Everyone leaving reviews are identifying themselves as the first level sales people. I have known quite of few KIDS who have been sucked into this scam. IT IS A SCAM. They are preying on HS and college kids who need money and use them because they know they have a market of friends and family to pitch too. They do not actually care if you grow your own business, they just want you to go and sell to your family because they know your family will listen to your demonstration. Scam. No doubts in my mind. Many of the scam reviews that I read were from people in that age group. I think they are targeting that age group because of their inexperience. Those doing the recruiting know how to sell the benefits of sales and minimize the difficulties. Most older people are going to understand the difficulties of selling high priced knives on commission only.